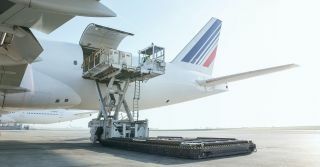 SkyCell, the Swiss-based manufacturer of the world's safest temperature-controlled containers for pharmaceuticals, and Air France KLM Martinair Cargo will expand their existing collaboration. Therefore, both companies have announced a global collaboration to work more closely together on existing and future business in logistics of pharmaceuticals. WestJet today announced that 93 per cent of the Aircraft Maintenance Engineers Association (AMEA) members voted in favour of a five-year agreement. The vote represents 90 per cent of the AMEA's 688 members. Troubled Jet Airways India Ltd. missed a US$109 million loan repayment due to HSBC Bank this week, people with knowledge of the matter said. Southwest Airlines Co on Wednesday was the first major U.S. airline to formally cut its financial outlook for the year after being forced to pull its new fleet of 34 Boeing 737 MAX planes out of service. GMR Infrastructure said bit.ly/2UbRphT a consortium of Tata Group, an affiliate of Singapore's sovereign wealth fund GIC, and SSG Capital Management will invest 80 billion rupees (US$1.16 billion) in GMR Airports Ltd, which operates India's biggest airport in New Delhi. 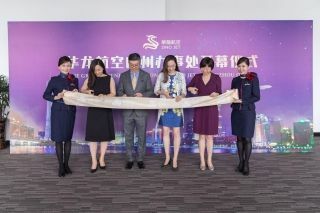 In 2018, Sino Jet Ltd expanded to include a base in Guangzhou, China, under the company's strategic expansion into the Greater Bay Area (GBA). The operator, which is also the first in Mainland China to achieve the highest level of the internationally recognised safety standard, IS-BAO III, has now announced its plans to further expand into the GBA and meet the growing trend for niche travel services. Emirates Skywards, the award-winning loyalty programme of Emirates and flydubai, is rolling out a new limited time offer for all new and existing Skywards members to boost their Miles. South Korea's National Pension Service (NPS) said on Tuesday it will vote against extending Cho Yang-ho's term as director of the board at scandal-hit Korean Air Lines Co Ltd.
Brazilian carrier Avianca Brasil will reduce its fleet size and cease operations at Rio de Janeiro's international airport as it downsizes in the wake of a bankruptcy filing in December, the firm said on Tuesday.